BNI Business First provides a structured and supportive business networking opportunity for all kinds of local business people in Harrow, Stanmore, Pinner, Watford and surrounding areas. Our BNI Chapter is located in Stanmore, London and meets regularly to enable its members to build strong business relationships and refer quality business to each other. Business First is part of ‘Business Networking International’, the largest and most successful professional business referral organisation in the world. One of BNI’s greatest attributes is only allowing one person from each trade or profession to join and it operates on a simple philosophy of "Givers Gain" - if I give you business, you will want to give me business - it's as simple as that! Some of our Business First Chapter members have been part of BNI since the day it was launched in the UK in December 1996, so we have a wealth of experience at every business meeting. 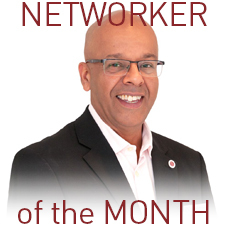 Our Notable Networker Award this month has been given to Phil Stanton for his outstanding overall contribution.